The Classic’s design is more than just aesthetically pleasing, it also combines proven hi-fi technologies with the simple set-up so often associated with Pro-Ject turntables, so you can get down to enjoying your music as soon as possible. The two-plinth design utilises Thermo Plastic Elastomers (TPE) to isolate the sub-chassis, rather than the traditional method of a spring-loaded sub-chassis. The layout effectively decouples the motor from the main bearing and the tonearm, reducing unwanted interference between the components. The idea of reduced resonance transference carries through to the platter configuration. The instantly recognisable dual-platter layout has been chosen instead of the old cast platters. The main platter on The Classic is machined from an aluminium alloy which is lined underneath with TPE damping. The sub-platter/bearing assembly combines a hardened steel rod with a bronze bushing that is lined with Teflon, resulting in a very smooth, low-noise solution. 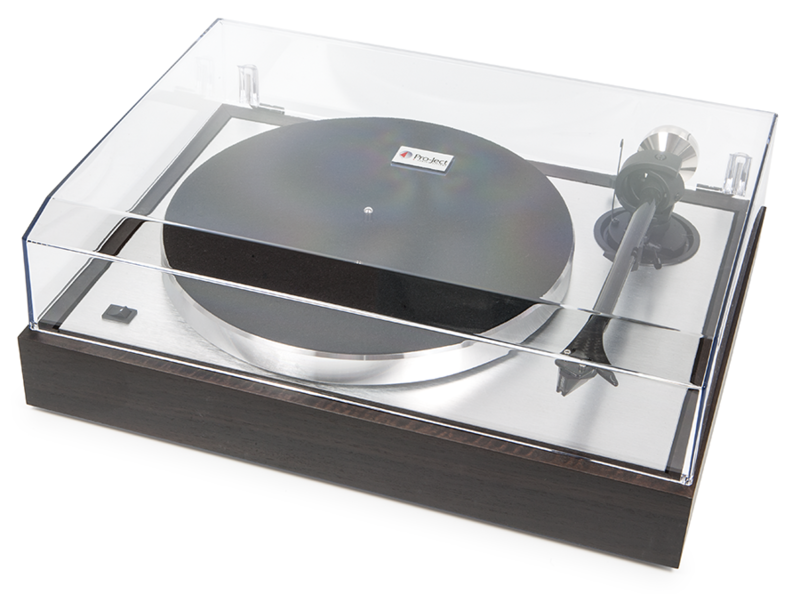 The configuration is similar to that of a Debut turntable, but the tolerances for these components have been improved by a factor of 10 over the Debut Carbon. The Classic also boasts an entirely new tonearm, exclusively designed for this special anniversary turntable. The conical tube is made from aluminium, wrapped in a layer of carbon fibre. The carbon fibre keeps the tonearm light and stiff, while the aluminium adds improved damping and grounding. The Classic Tonearm also uses a new bearing assembly with precision-machined, ultra-low friction Zircon bearings. Underneath, a new Japanese-designed ball-bearing allows for easier placement of the tonearm wires and a much freer movement of the tonearm. The new nickel-finished counterweight is also TPE-damped, reducing the amplitude of the tonearm’s resonant-frequency by 50%. Finally, the tonearm also benefits from the usual azimuth and VTA-adjustments associated with all high-end Pro-Ject tonearms. A variety of counterweights will be available for The Classic, supporting cartridges up to 25g. The Classic Tonearm will also be available for sale separately in the future. 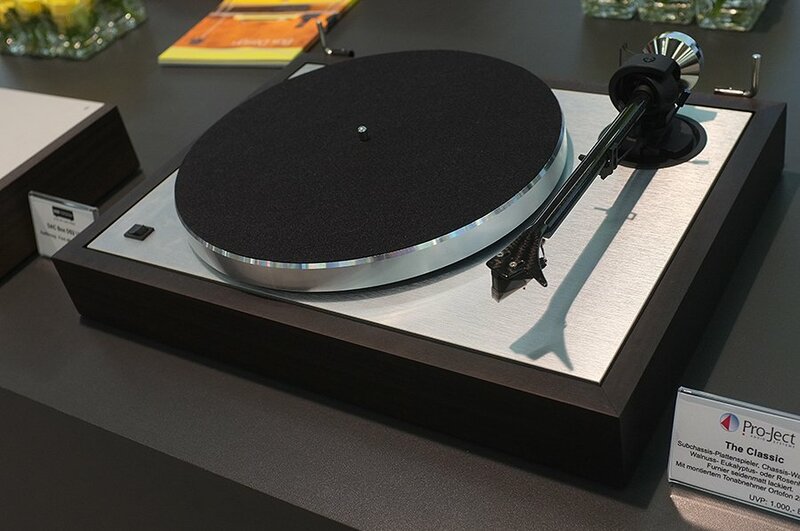 To increase accessibility for The Classic, the turntable has been designed with a new set of feet, which effectively allows the turntable to perform as well as possible in a wide variety of installations, even when it’s not placed on an ideal platform. The feet are both dampened and height-adjustable, ensuring the turntable can be adjusted to sit level on unbalanced or imperfect surfaces. The Classic is supplied as standard with the Ortofon 2M Silver cartridge, which has been designed exclusively for Pro-Ject Audio Systems. 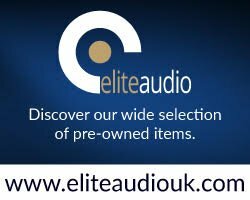 However, the ability of the turntable is such that it’s also capable of working with a wide variety of high-end Moving Coil options. The inclusion of a junction box on the back-panel, also allows for cable improvements as and when you improve your cartridge option. 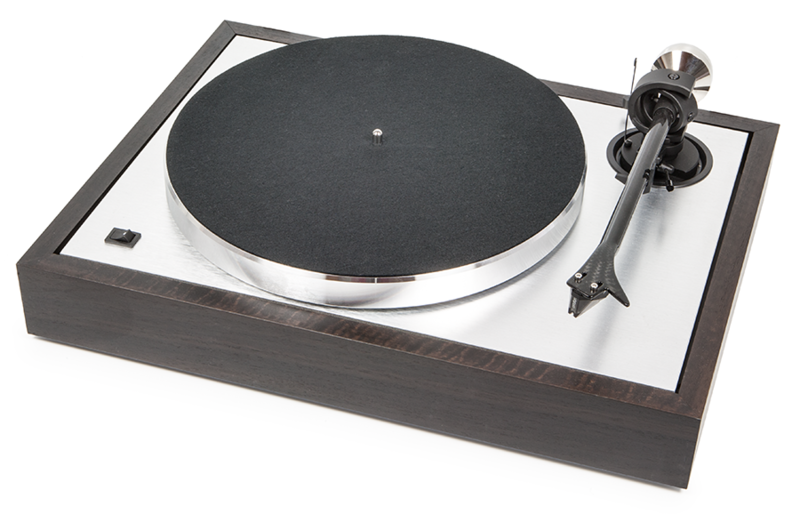 The Classic turntable is available in Eucalyptus, Rosenut or Walnut (shown) finishes. 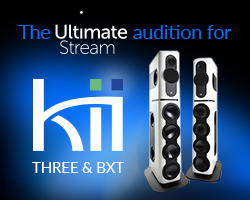 It is supplied as standard with all necessary set-up tools, a fitted dust cover and Pro-Ject’s specially-developed Connect-IT E turntable cables. The Pro-Ject Classic will be available in the UK from June 2016.